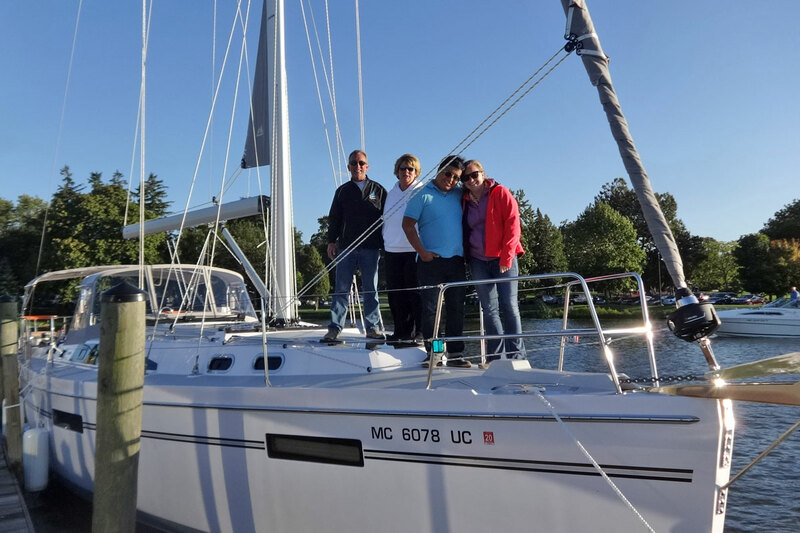 It’s always fun to hear how Catalina owners are enjoying their boats and their sailing lifestyles. 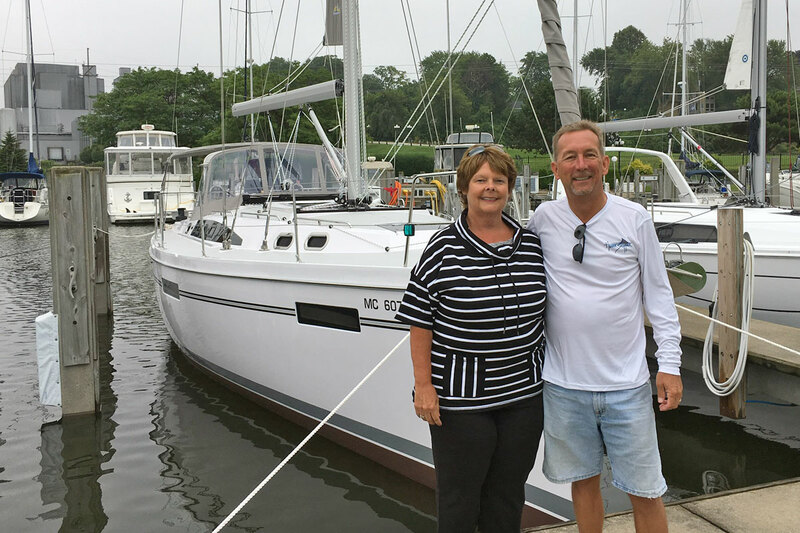 Here’s an exchange with Dave & Cindy Kraai, who purchased a Catalina 425 earlier this year through Sail Place, Inc.
Where does your new Catalina 425 live? Where do you primarily sail your new 425? Any long terms cruising plans? We’re new to this activity and lifestyle. We’re gaining skills each time we put the sails up, or put the anchor down, or dock alongside a restaurant. As we increase our confidence we increase our thoughts of heading further away. Being in the Great Lakes we can go a long way, and stay in fresh water. Can you expand a bit on your sailing experience? We’ve sailed our Sunfish for several years, and we’ve joined up with friends on their sailboat in Lake Michigan a few times. We’ve talked about for several years, but it wasn’t until late 2016 that we decided 2017 would be our year. When did you first see the 425? We read about it in the trade publications, and then seen it for the first time at the Miami Boat Show in February 2017. What was it initially that you liked about the 425? It’s a beautiful boat with ample room to stay aboard. 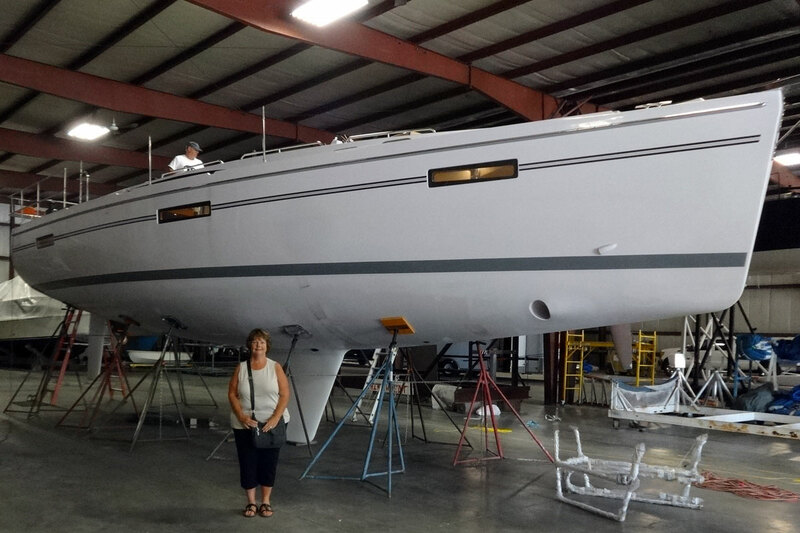 Ultimately, what made you decide the 425 was the boat for you? We really like the size of the cockpit, and all the things that make her easy to sail such as the in-mast furling and the self-tacking jib. And, while at the Miami boat show we noted that built in microwaves are not universally standard, but they’re standard on the 425. Tim and Dave have been top notch. 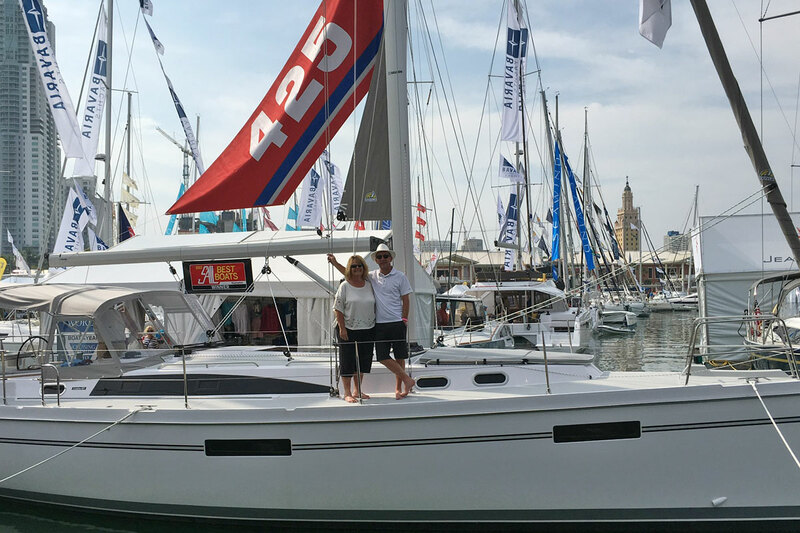 Tim was at the Miami boat show and pointed out options that we would really come to appreciate, such as the pedestal guards, auto pilot, extra electronic controls port and starboard, and the bow thruster. Tim made the purchase process fun. Dave is our Michigan based go to guy. He is always on top of things. He introduced us to his local canvas and cushion expert who produced a beautiful Bimini, and dodger, and very nice cushions. Dave took us on our first sail, and went with us when we moved the boat from Muskegon to Holland. We’ve come to rely on Dave for sailing tips, storage practices, and a couple minor warranty things. Dave made this whole thing as easy as could be. Once we were settled in at our Holland marina, we had several people come up and ask if we had worked with Dave. To a person everyone who worked with the SailPlace speaks highly of Dave. Us too. How are you enjoying your new Catalina since your purchase? Since taking delivery, we have spent our weekends at the boat, and have been on the big lake at every opportunity. We’ve entertained a bit, but mostly the two of us enjoy pointing the boat west, setting the autopilot, putting a song list on, and listening to the water. Miami Boat Show. The day we placed the order. Visiting Catalina and our boat as it gets ready for delivery. First time seeing her in the water.